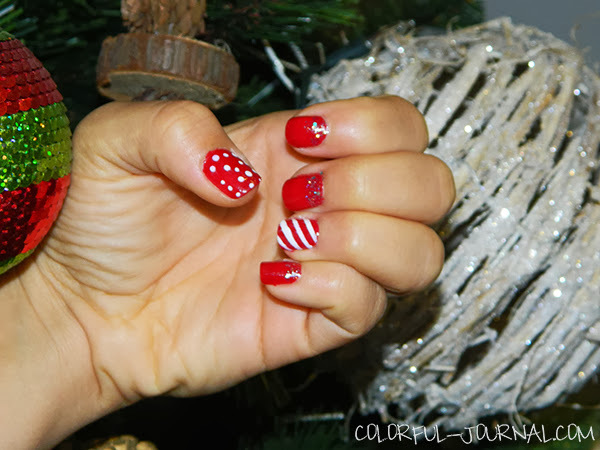 Oh my god I can’t believe it’s only 1 day until Christmas eve, so I was planning how I will make my manicure for tomorrow and this idea came up to my mind. First as always I put 1 coat of the start to finish base & top coat, this step is more important if you are using dark color nailpolish or red so you can prevent stains on your nails. 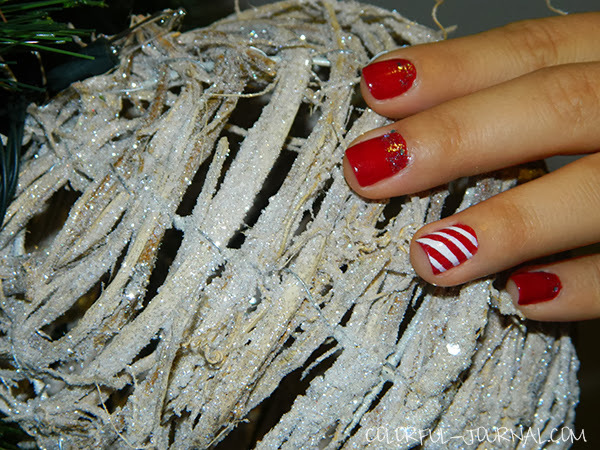 Then I put 1 coat of the red nailpolish and with some strips of washi tape or tape (tooking some of the stickiness before) make the lines for the candy cane nail. With a tool I made the little white dots as snow in both tumbs, for the rest of the nails I only put in the cuticle area the silver glitter nailpolish. Let the manicure dry very well after putting the top coat because you can stain the white with red or viceversa. What do you think about this manicure?. 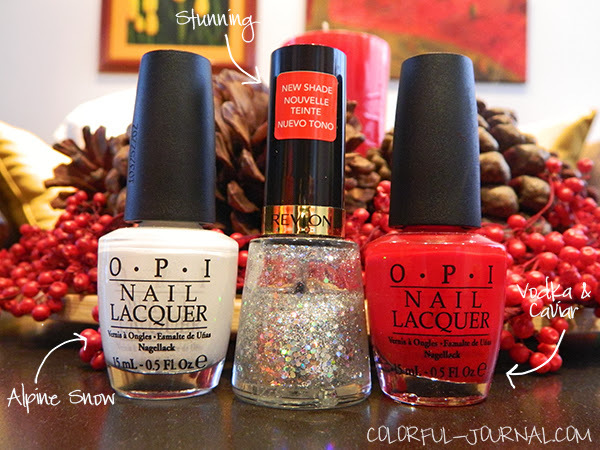 What are you planning for your christmas manicure?. 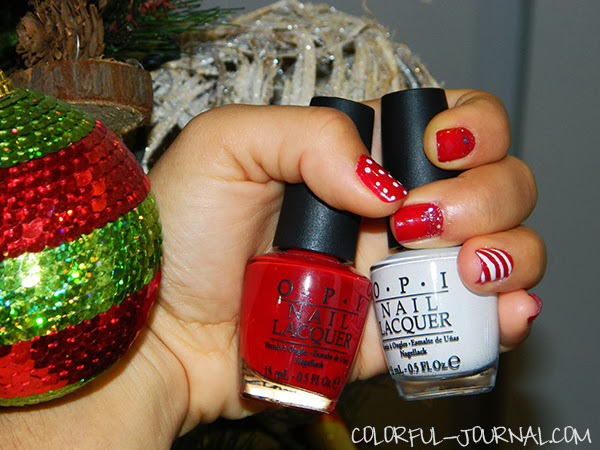 If you want to see others christmas manicures you can see one here and here.